Somebody has had a lousy day of traveling … or is it two days? he ended up with a couple of connections … usually no big deal for him (he doesn't mind traveling). 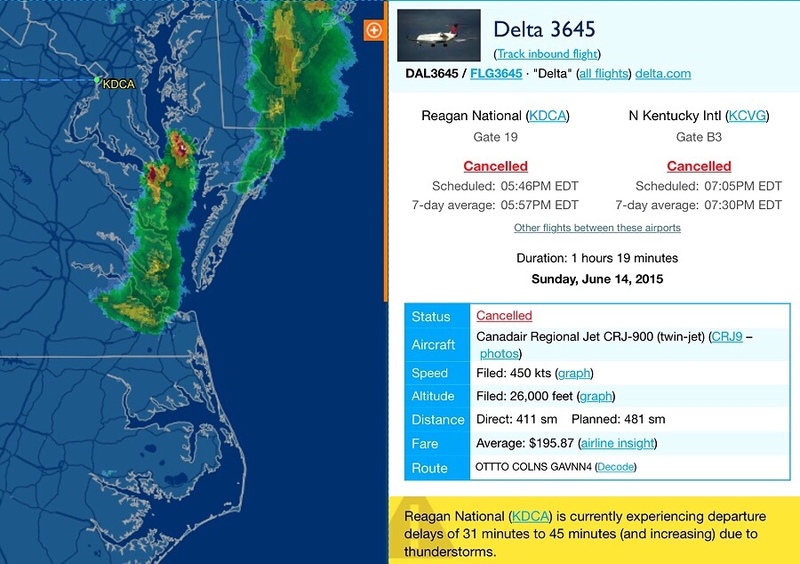 Unfortunately on arrival to Reagan National in Washington DC, the afternoon thunderstorms delayed the landing and his connection flight to Cincinnati. This is where it gets bungled by Delta. One of the flight attendants stumbled and sprained her ankle on the way to the gate so after the hour delay for weather, they delayed another 2 hours waiting for a new flight attendent. Once the new flight attendant arrived the 180 passengers reboard the plane again. Now it is 10PM (east coast time) and this is where it gets really interesting … someone at Delta now realizes the previous crew has now worked 14 hours and can't fly the DCA to CVG leg. FLIGHT CANCELLED. So 180 tired and angry passengers head to the lightly staffed Delta counter to figure out what to do. Taylor called me at 11PM tonight (was planning to pick him up at the airport) saying that they are going to try and get 180 hotel rooms, but were having difficulty with transportation and finding enough rooms. Medallion members are frustrated too but at least are able to get through to their special phone number while others are told it will be a 2 hour wake. 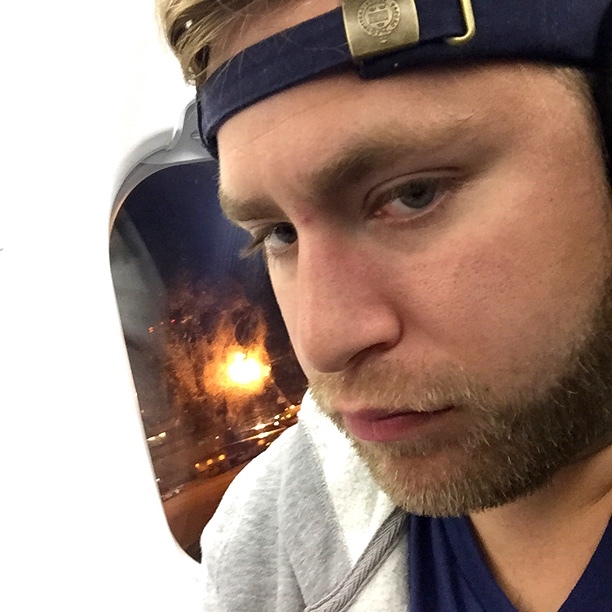 Taylor fortunately was reschedule for a 1:45PM flight tomorrow (thankfully doesn't start his new job on Monday!) but is really more interested in sleeping at the moment. So far, Delta has not exibihit the professionalism and experience they “should” have as a top tier airline (4-1/2 hours before cancelling flight). It is no wonder passenger need some kind of “bill of rights.” We'll see if they “voluntarily” try to make amends with the ordinary passengers … I suspect they will do whatever they can to keep their million mile Medallion flier happy. Not sure about those of us who only fly every other month — for the record, I've pretty much written off Delta and choose Southwest every chance I get. I just might cancel my Delta Skymiles American Express card tomorrow?